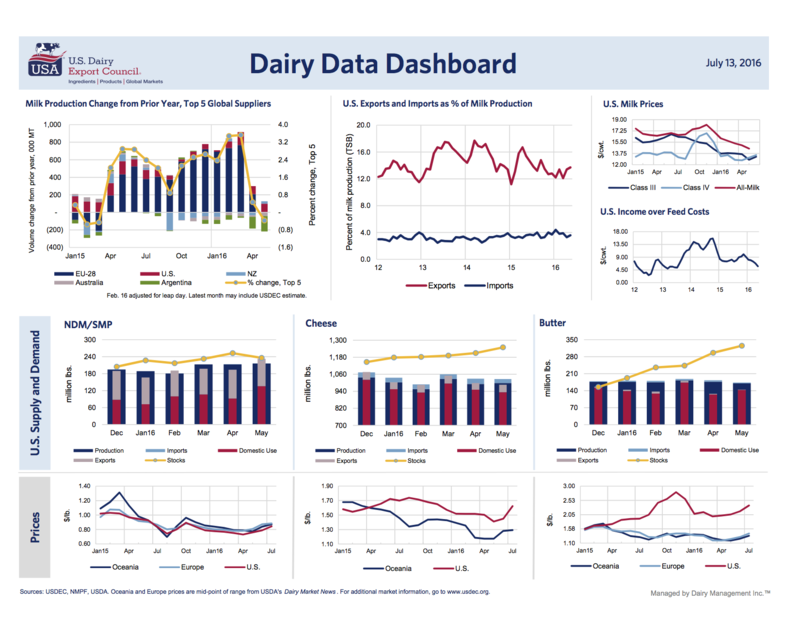 You receive our monthly Dairy Data Dashboard by email when you subscribe to the U.S. 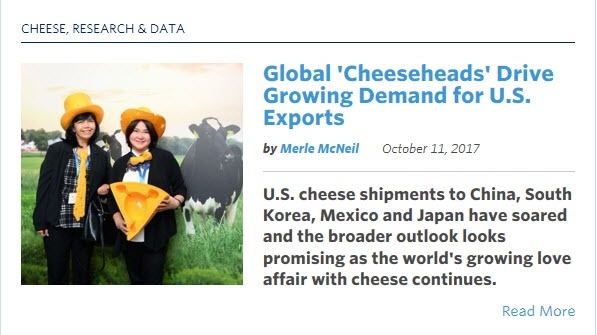 Dairy Exporter Blog. We compile U.S. and global metrics, create 10 concise charts and put it on one printable PDF dashboard you can place on your desk, file or make into a data-decorated paper airplane. In addition to the dashboard, blog subscribers get USDEC market analysis, research or news updates like this at least once a week. You can unsubscribe at any time. We never sell lists or email addresses. Just fill out the form. It's that easy. © 2016 U.S. Dairy Export Council. All rights reserved.